WHY GO: A vacation spot since the late 1700’s, Cape May NJ attracted city dwellers who would travel by packet steamers down to the shore. There, they’d “bathe” in the Atlantic Ocean, essentially bobbing up and down in the waves wearing barbell-heavy woolen “bathing attire.” Since then, Cape May tourism has waxed and waned. A fire in 1878 destroyed nearly every home in the Historic District, leading to an almost instantaneous building boom – creating the concentration of Victorian Homes that survive till today. 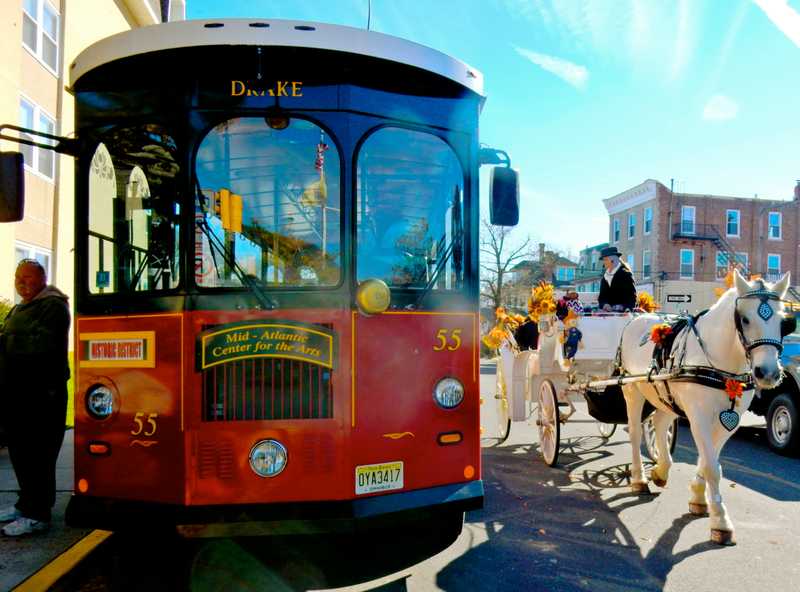 TOUR: MAC (Mid-Atlantic Center for Arts and Humanities) Trolley Tours. 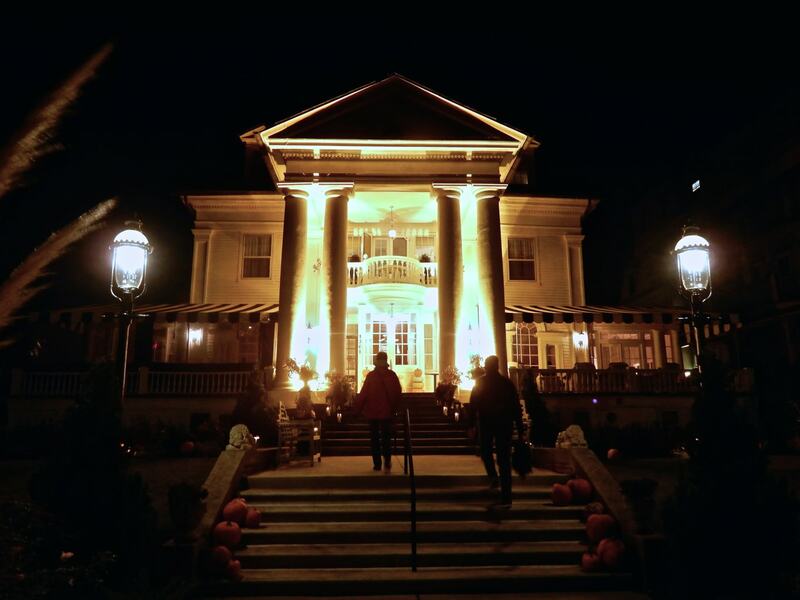 MAC offers a host of themed tours, from Architecture Tours to Historic District/Physick Estate Tours, Haunted Tours, Holiday Tours and more. 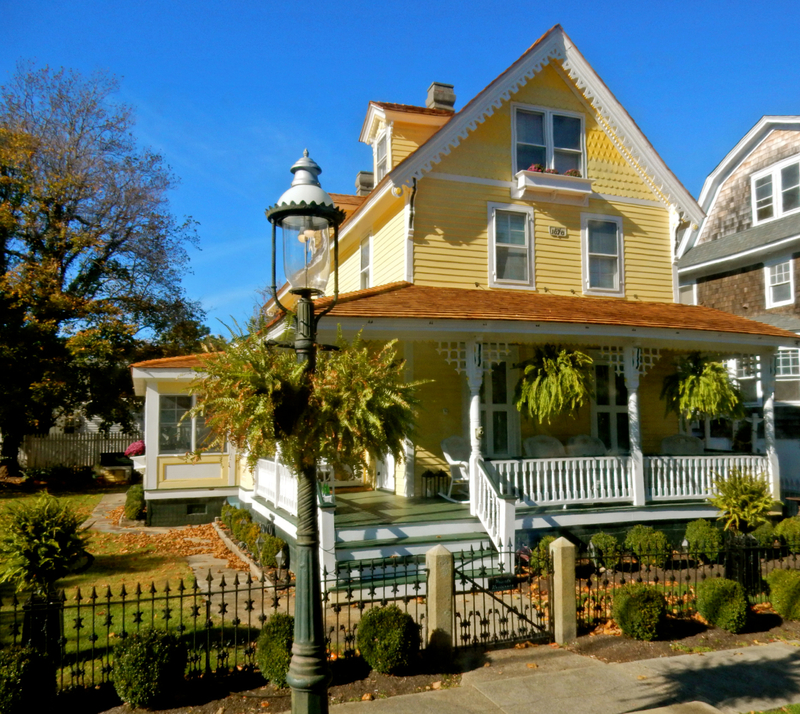 All provide a variation on a theme – that of Victorian-Age Cape May and its relevance to modern day society. 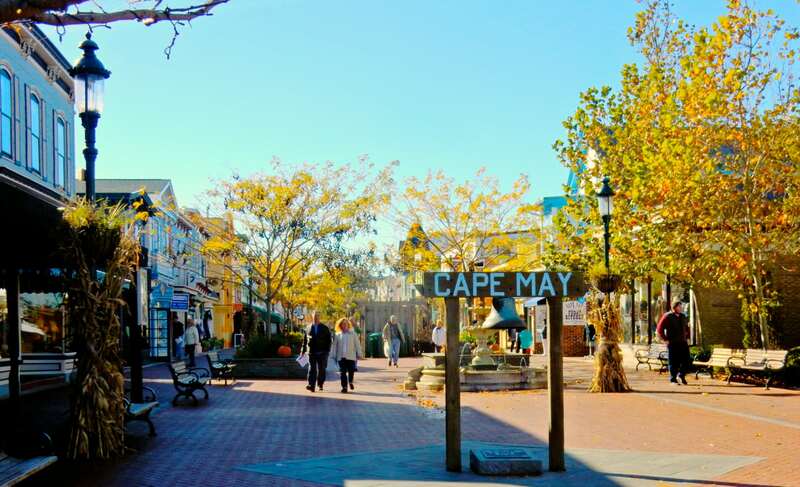 First timers to the area will get the most out of an Historic District Tour, focusing on the history and elements of Victorian Architecture in Cape May. Driving slowly up and down shaded streets lined with meticulously restored homes, you’ll learn that all these vibrant paint jobs are actually a latter-day attempt to jazz up the formerly muddy brown and mossy green pigments favored by the Victorians. Hugh Street is the most picturesque; an array of shaded private homes embellished with delicate ornate woodwork known as Gingerbread or Carpenter’s Lace. 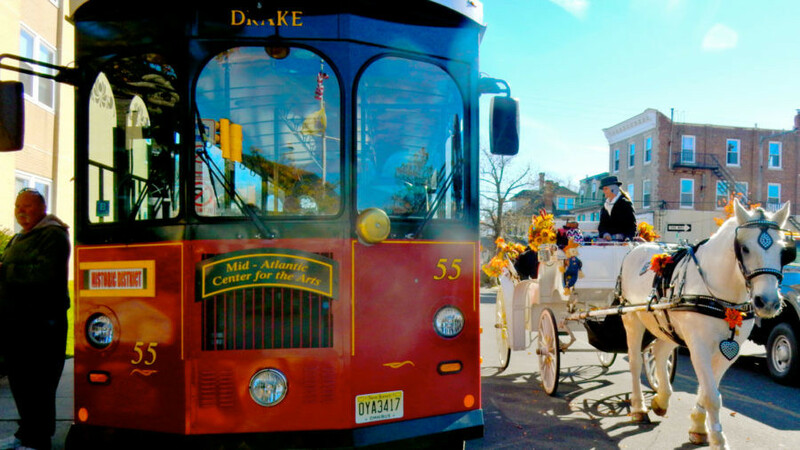 Though the “place to be” in the 19th century, by the 20th Cape May had “fallen out of favor.” The trolley takes visitors to the Emlen Physick Estate (where you can either get off for a combination tour –highly recommended – or continue on), the first Cape May Victorian to be saved by MAC, leading the preservation movement in town. 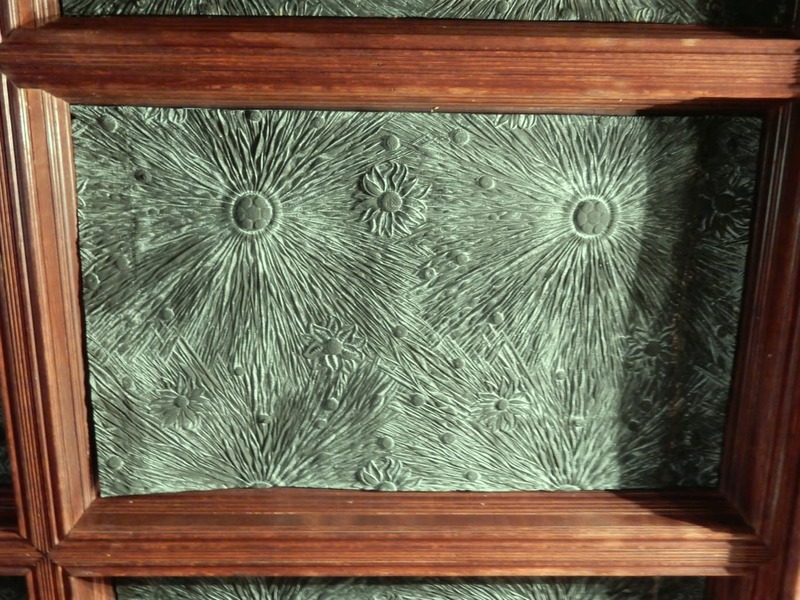 TOUR: Physick Estate. Dr. Emlen Physick graduated medical school at the age of 22 with “his diploma in one hand and inheritance in the other.” He never practiced medicine a day in his life. During the late 1800’s Cape May was a popular summer resort; the more southern, less ostentatious Newport RI. 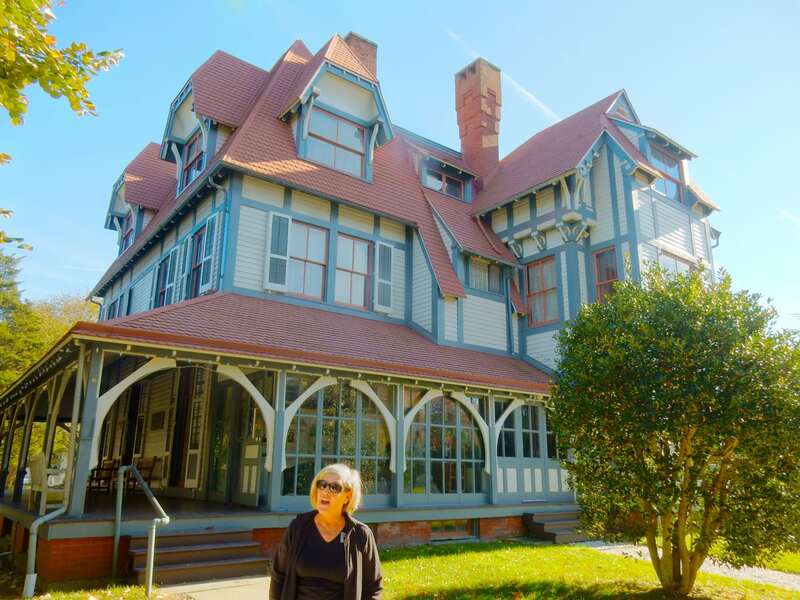 In 1879, the year after Cape May’s Great Fire, Physick commissioned Louis Sullivan’s protégé, Frank Furness, to design this grand home with linear, geometric lines based on English architecture. Physick never married, though he did invite his mother and aunt to live with him, and died in 1916. By the 1960’s the Physick house, in great disrepair, was known to locals as “the haunted house on Washington St.” Artisans from M.A.C. gave it a new pale and dark grey paintjob with red roof, and almost completely restored the interior. The guided tour of the home begins in the “screening room,” aka the entrance hall, where callers would be announced and either invited in or sent away. Look up at the marvelous “sunburst” tiled ceiling – the first of many architectural details that make this house so intriguing. The French-style light and airy parlor, with its oak fireplace mantle inlayed with gorgeous turquoise Furness-designed tiles, is a departure from the dark English Victorian décor. 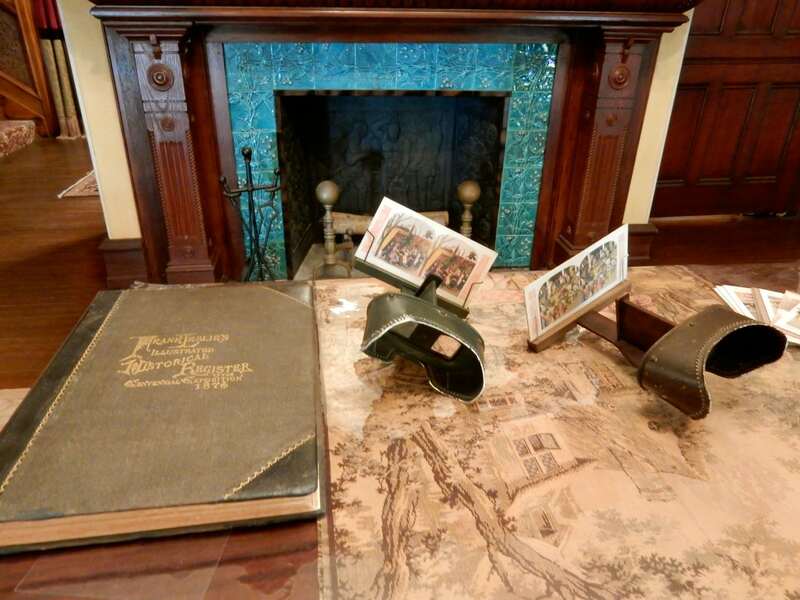 The cocktail table is set for visitors: stocked with items of interest, such as books and stereoscopes, dinner guests would have topics to discus during the meal. 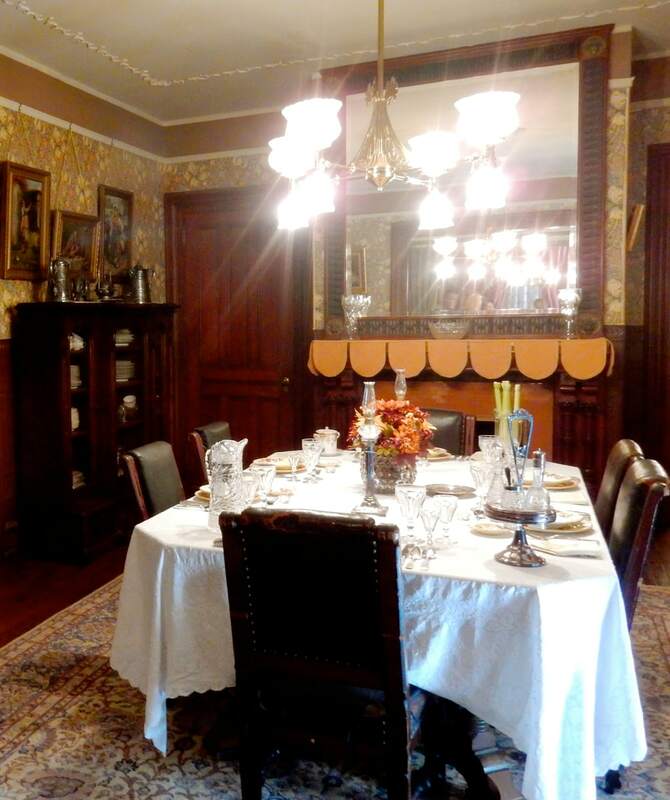 The Music Room, with parlor harp and piano, served as tv’s and video games do now- as entertainment after dinner. With two women in the house, the home was a hub of activity and entertaining. The dining room table is set for a dinner party complete with a designated glass “celery stand.” Yes, the mundane vegetable was actually precious produce, costing quite a pretty penny, and so those who could afford it would display it accordingly. BEST DEAL: MAC Membership. 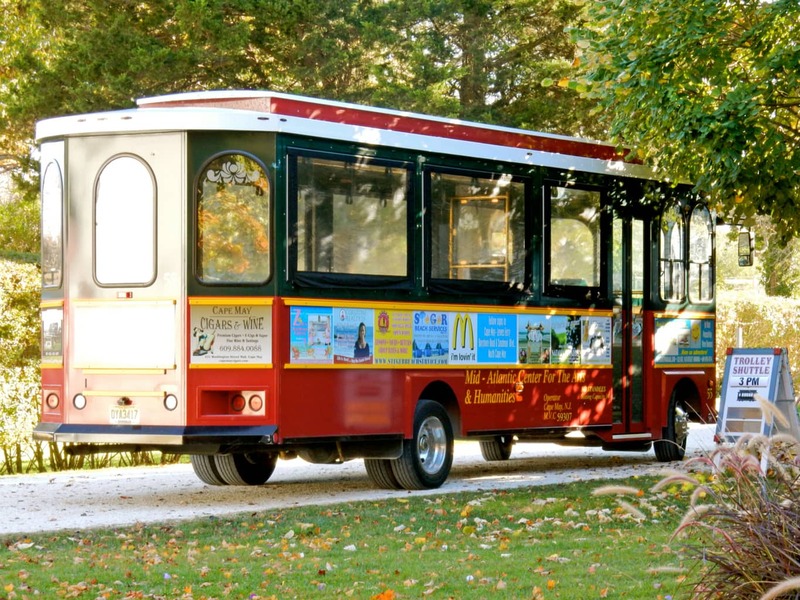 For just $50 per couple or $75 for a family with kids under 18, this membership allows holders free Historic District Trolley Tours (usually $12/$8), Physick Estate Tours ($12/$8), Combination Trolley/Estate Tours ($22,$14), Lighthouse ($8, $5), and the WWII Lookout Tower ($6/$3). If you plan to do the combo trolley tour and another trolley tour, you’re already ahead of the game. WALK/JOG/BIKE: The Promenade. 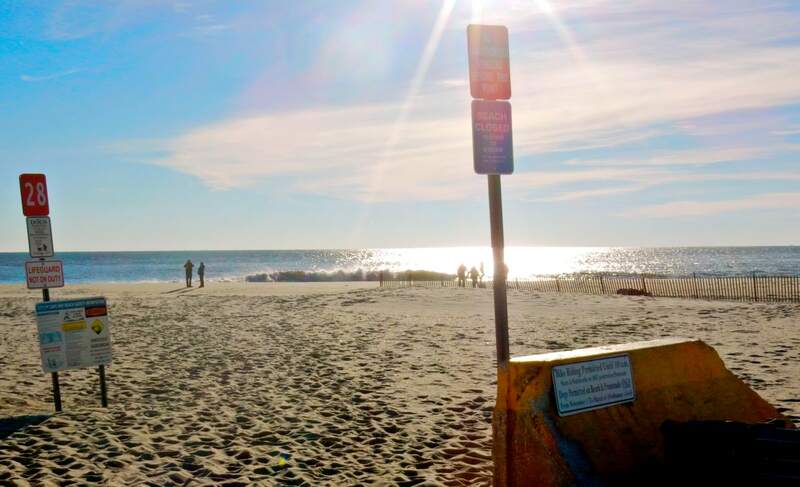 A paved path runs the length of Cape May Beach along Beach Ave. and is a favorite of walkers and joggers – and in season, fringed surreys (which, with bikes, are allowed on the boardwalk from 7-10am). WALK/SHOP: Washington Street Mall. 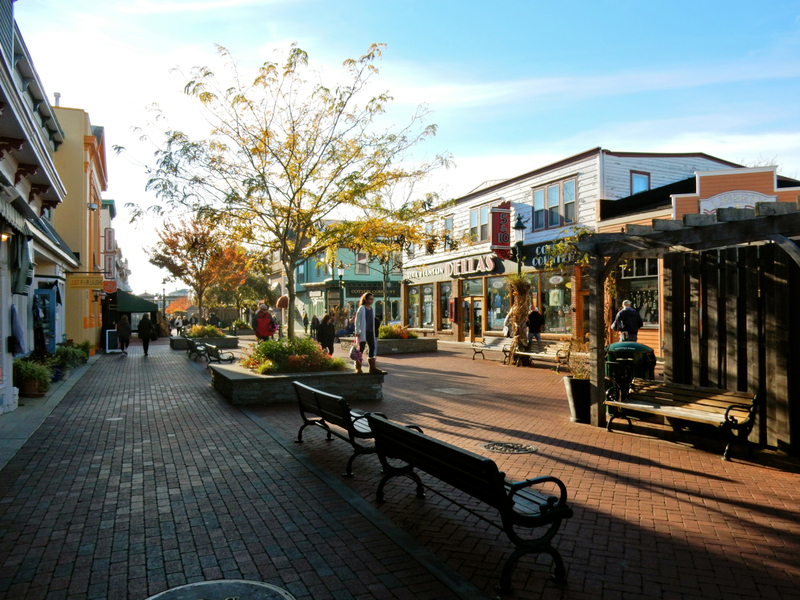 A lovely landscaped pedestrian mall with a real “Five and Dime” and many more emporiums. 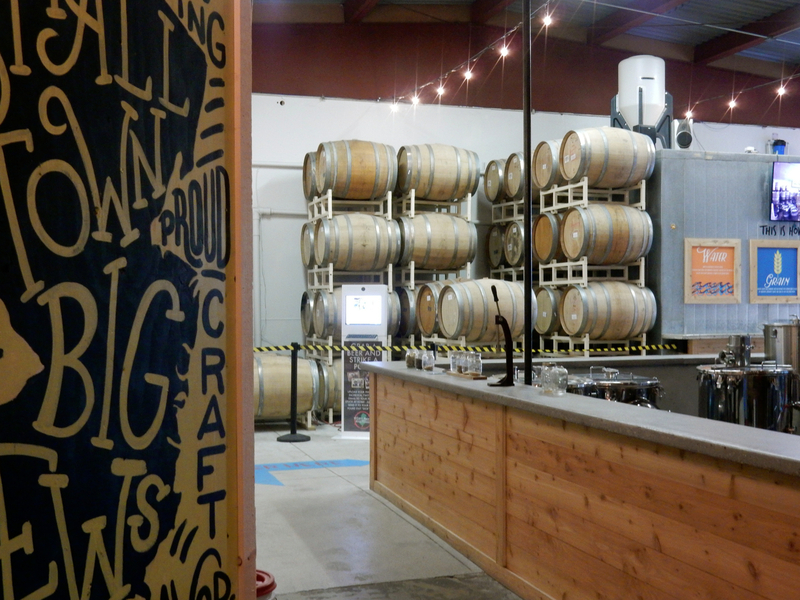 The tasting room is unlike most others – with a “please touch” aspect to the self-guided tour that takes you from grain to glass, and then to a video screen where you can take a selfie framed by CMB’s logo to send anywhere. 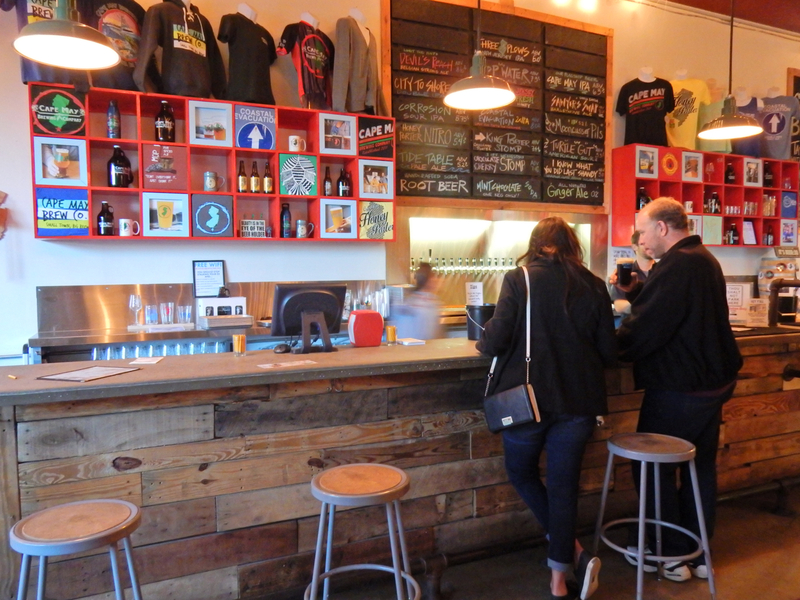 By the time you belly up to the bar, you’ll have smelled and felt the ingredients that go into making the Sour Beer made in the tasting building (other varieties of beer are made next door in a larger facility). Among my favorites, if only for their names – Mop Water (5-spiced ale), Coastal Evacuation (Double IPA) and I Know What You Did Last Shandy. The One Off Wednesday: Chocolate Cherry Stomp started with King Porter Stomp Chocolate Porter and added cherries. One Off Wednesday: Leftover Stuffing Beer uses Thanksgiving stuffing spices in a “leftover” keg of White Caps Double Imperial IPA. Highly experimental, when these one-keg concoctions are gone, they’re gone. Besides coming in for a taste, you can take a short, 10 minute guided tour. Or stay till dark on select Thursday evenings in winter for a Fireside Chat. 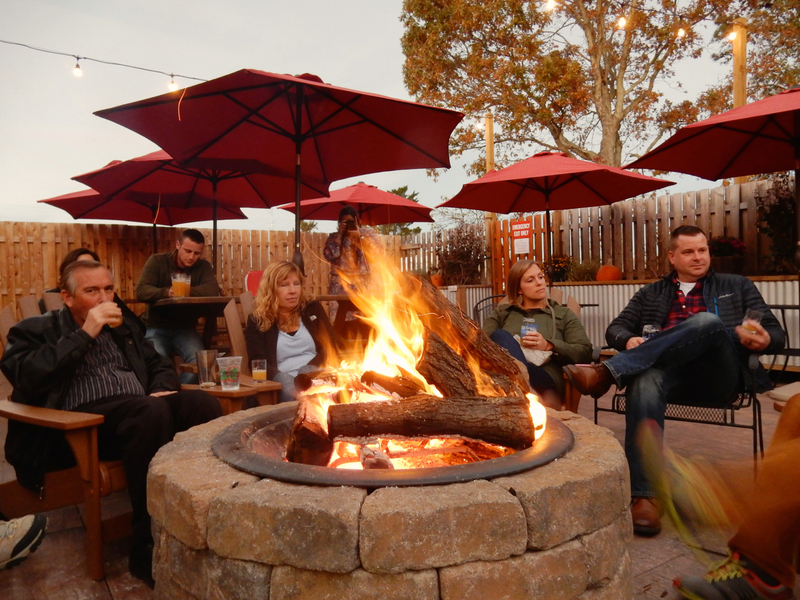 These intimate discussions around a roaring bonfire allow beer drinkers to learn the story of the beers they are sipping from the owners and master-brewers. 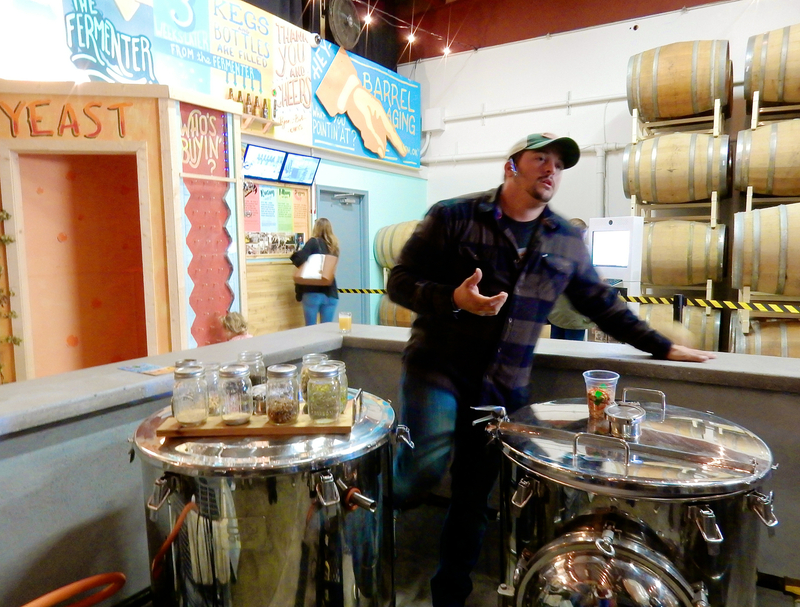 Occasionally, you can meet the local farmers who make the ingredients (like Rabbit Hill, a former potato farm, now CMB’s sole source of malted barley), and otherwise engage with genuine beer geeks. The Fireside Chat 2016 series ends on Dec. 22nd with ‘Twas The Night Beer-fore Christmas, when I’m sure visions of hops and barley will be dancing in all heads. 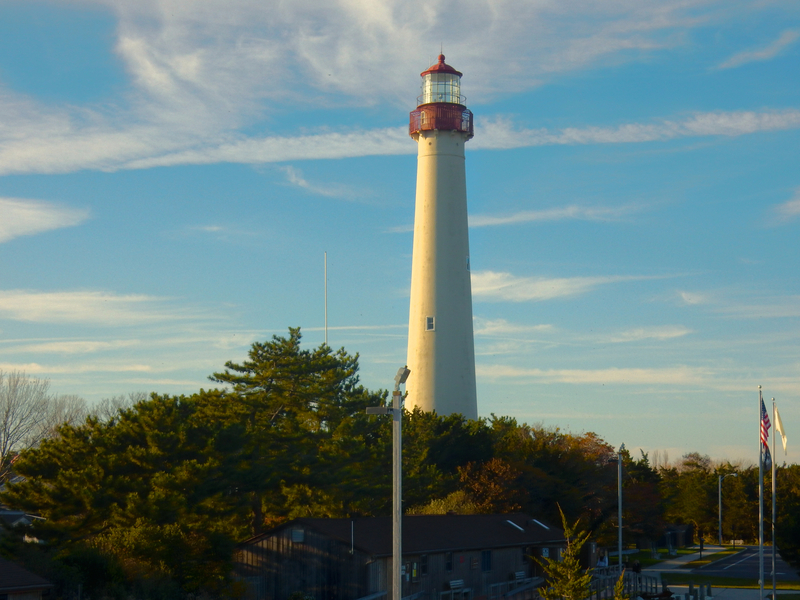 VISIT: Cape May Lighthouse at Cape May Point Park. Climb the 199 steps to the top of this 1859 Lighthouse for great views of the Jersey Cape where the Delaware Bay meets the Atlantic Ocean. $8 adults, $5 kids. 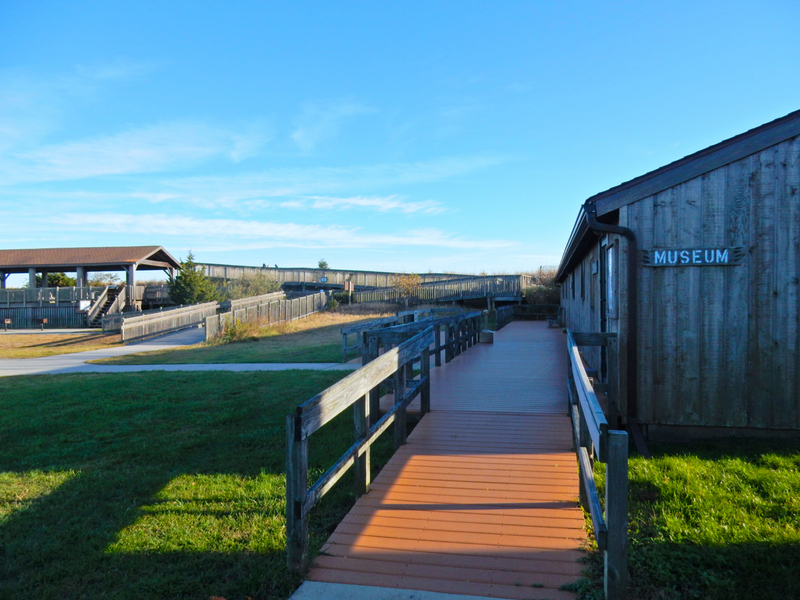 Cape May Point Park also has a small, but very cool Nature Center Museum stocked with lots of very active snakes, lizards and other native wildlife. And for sure, don’t miss Bird-Watching- the best on the East Coast. VISIT: WWII Lookout Tower. Restored in 2009, this six-floor concrete tower was used to triangulate coordinates of enemy war craft during World War II. 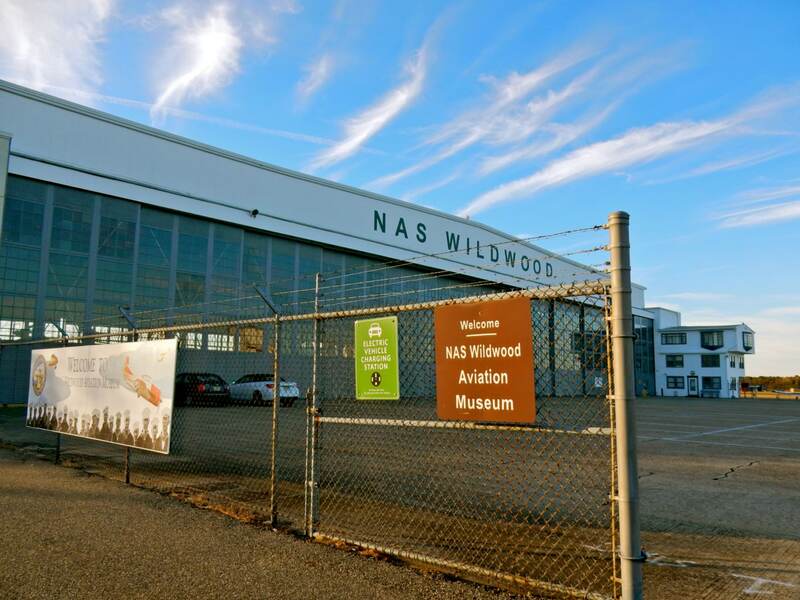 VISIT: NAS Wildwood Aviation Museum. If you’re wild about WWII aircraft, you’ll want to come to Hangar #1 – used as a Dive-Bomber Squadron training facility in the 1940’s – now housing planes, engines and memorabilia. Eat: Peter Shields. 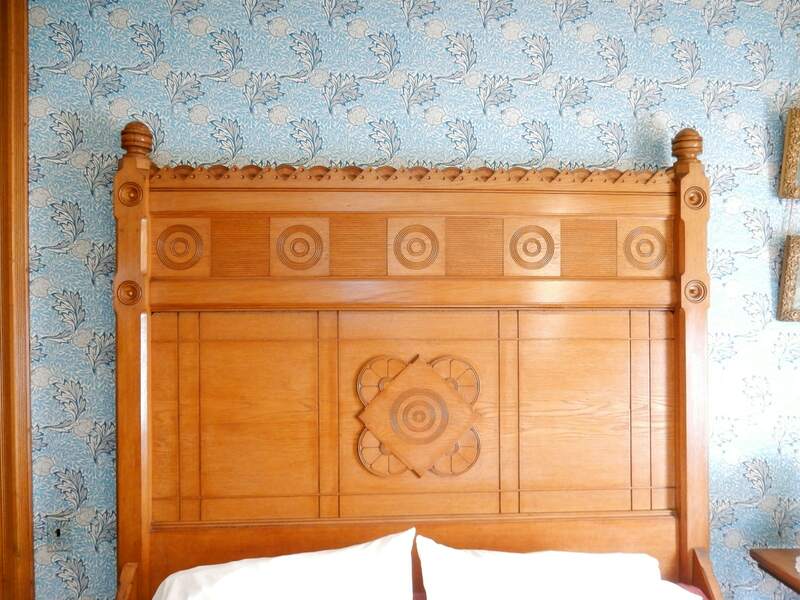 On Beach Rd., east of the Montreal Beach Resort, this stately Inn and Restaurant provides warm comfort on cool nights. Ask for a table by the fireplace, and go early (5:30-6:30 Sun-Fri) to take advantage of the 3-course $40 prix fixe. You’ll dine on the same ambrosial dishes – like Butternut Bisque with Smoked Trout Salad, Grilled Hangar Steak and signature Warm Date Pudding with Vanilla Ice Cream – that you’d find later on in the evening for much more moola. EAT: There are 110 restaurants in Cape May – an inordinate number – so to pin a few down is tough. Most touristy – Mad Batter for breakfast and The Lobster House, a CM institution for, you know. Highly recommended by locals – The Red Store for lunch, YB (Younger Brother), a cute boutique with few tables, and Washington Inn – another contender, with Peter Shields, for special occasion, fine dining. STAY: Montreal Beach Resort. A Maven Favorite, you’ll find the complete write up of this hotel here. Suffice to say that the story of the builder of this beachfront hotel nowhere near Canada might give you goosebumps. 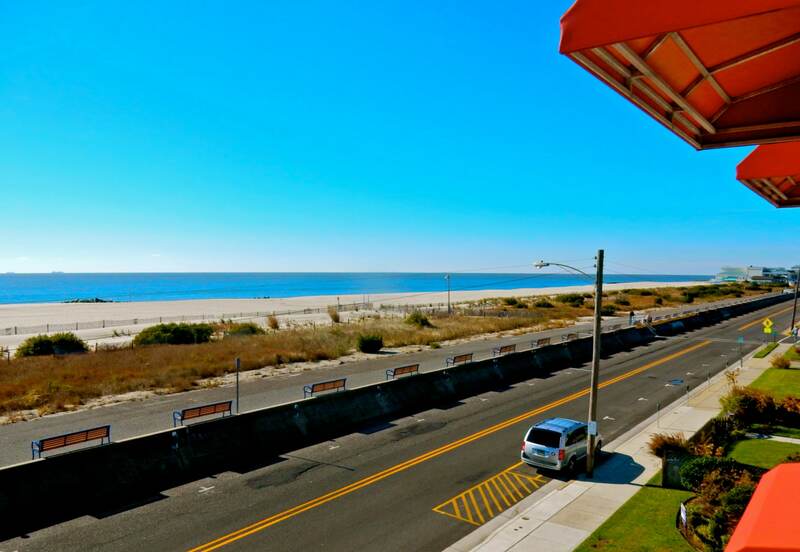 Located in the “quieter” part of Cape May, it’s a 10-minute walk along a paved oceanfront promenade to downtown. As it’s nearly impossible to find parking in Cape May’s busiest section, parking here and walking or biking makes sense. Open April – Nov (Harry’s Grill open May-Oct) only. 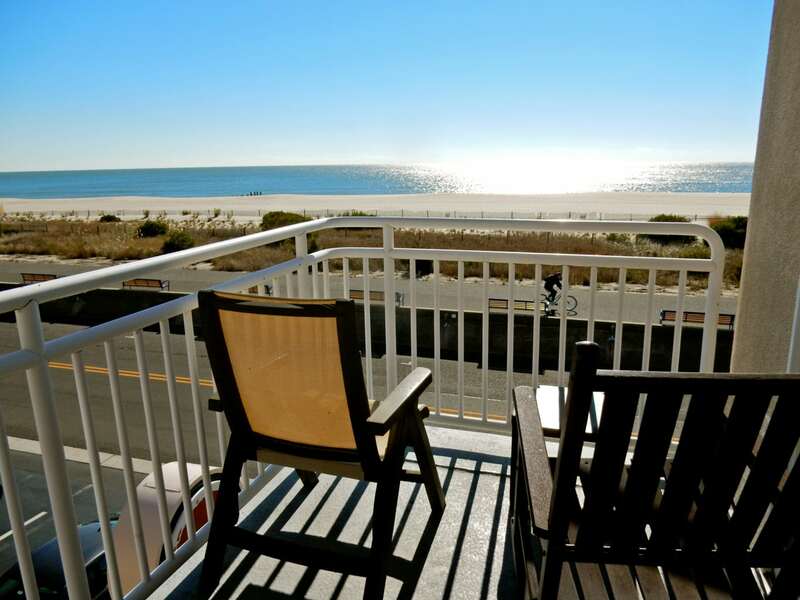 Rates from $105-$150 per night off season, $200-$400 in season, include beach tags, chaise lounges and umbrellas on beach, pool, Wi-Fi, continental breakfast, and parking. 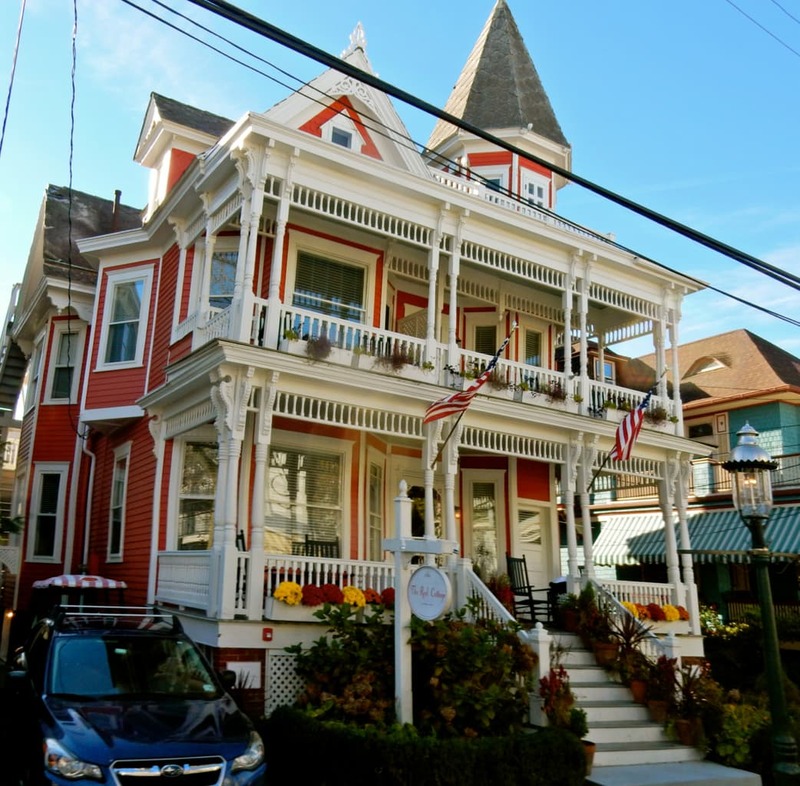 STAY/VICTORIAN: Many visitors come to Cape May for the Victorian experience and there are several dozen B&B’s that fit the bill. 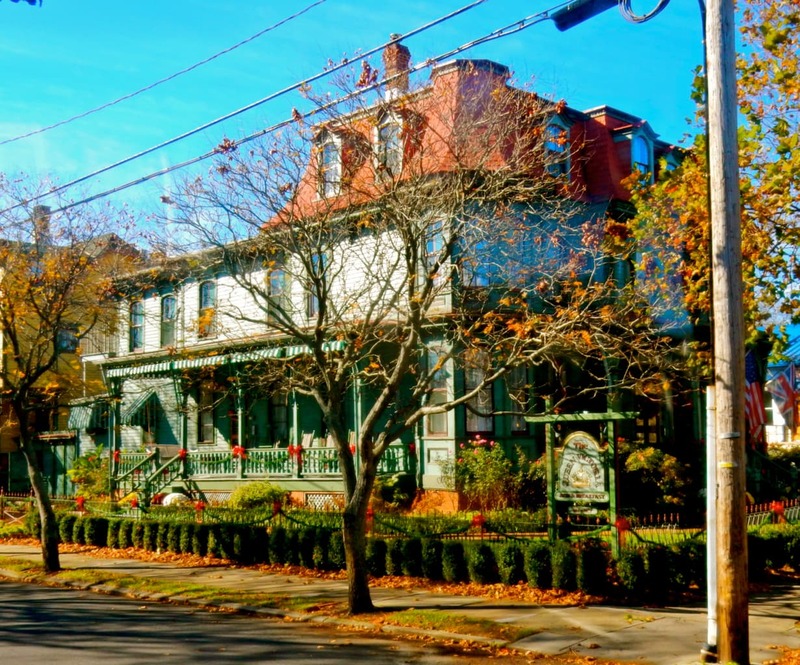 Among the best – the Queen Victoria B&B, just a block from the beach, and The Mainstay Inn – a yellow Victorian has been at the top of many “go” lists for years. Mal, Next time you’re in Cape May, check out Cape May Stage, a wonderful theater that attracts NYC actors and playwrights.